Like I said, the views from Bukhansan are pretty awesome. We were lucky in terms of the weather. The sun started to break through as we approached the top. Even so, the pollution rising above the city cuts down visibility of the “communist-style” (thanks James) apartment buildings in the northern part of Seoul. Hiking…you know, it’s that thing you do when you want to “get away from it all”. You throw on your boots, pack some snacks, and head out into nature. 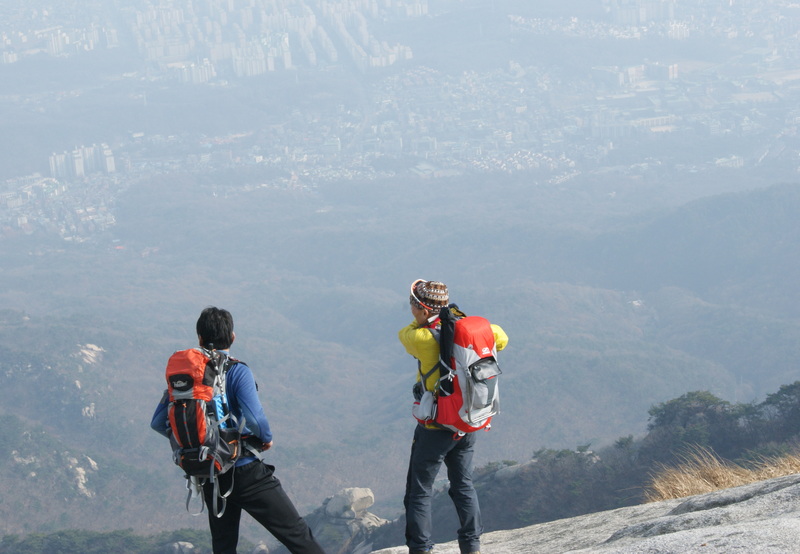 Oh, how nice it is to be alone in the woods, or on a mountain top, just you and your thoughts…Well if this is your idea of hiking, I suggest you stay clear of Bukhansan. 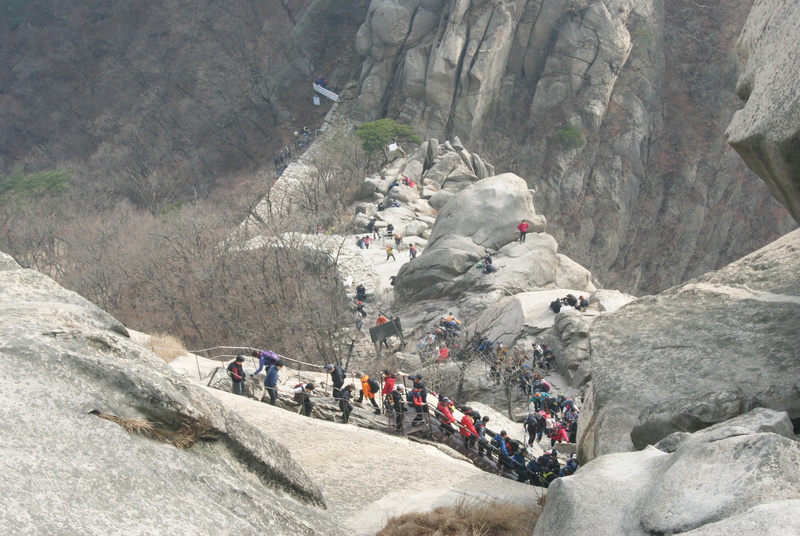 To say it’s a crowded hike is an understatement. However, the views are pretty amazing, and if you don’t mind crowds, then by all means! I will say that I’m glad I went, but I will likely look for a less “popular” hiking destination in the future.